Jeni's cakes and brownies are lovingly made by hand in her own kitchen. The cakes are stylishly decorated with glorious frostings and finished off with exciting toppings. All Jeni's cakes and brownies are made with the finest and freshest ingredients including free range eggs from the local village and Fairtrade products wherever possible. 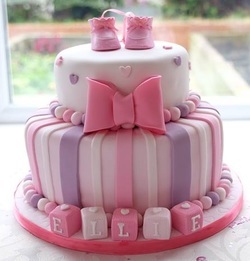 Jeni's cakes, large and small can be customised to create bespoke gifts. They come beautifully packaged so why not treat someone to a wonderful surprise whatever the occasion. No occasion is too big or too small, fetes, fairs, birthdays, weddings, dinner parties or simply a treat for yourself. Just give Jeni a call and sit back and indulge in a piece of cupcake heaven! You won't regret it!!! Don't just take our word for it, check out what our customers said too.